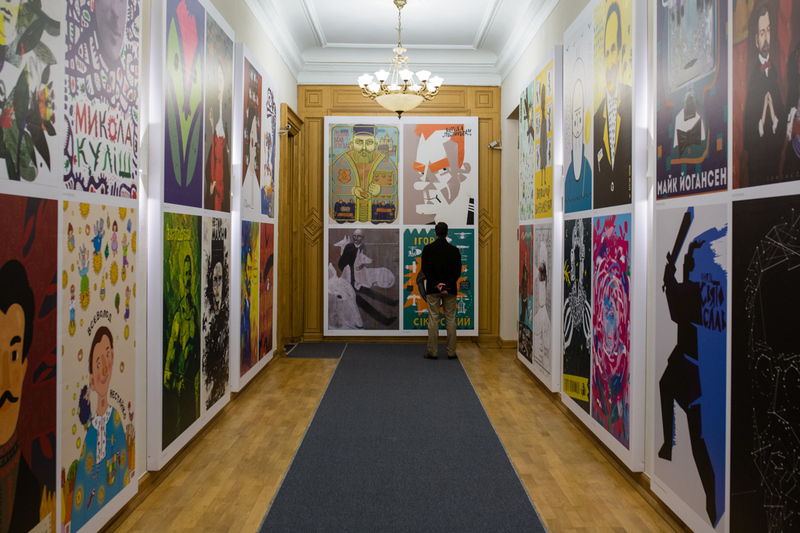 On April 17, a brand new Second Floor Art Center has opened at the Administration of the President of Ukraine. 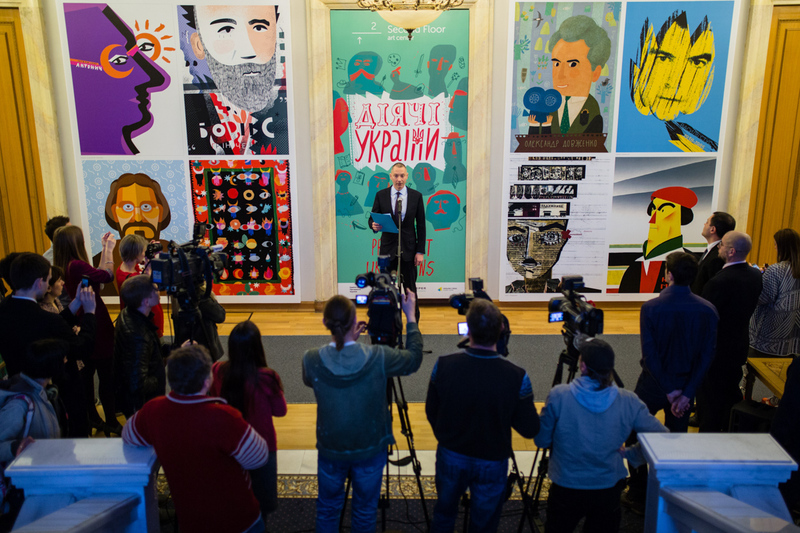 The first exhibition there is called Prominent Ukrainians. 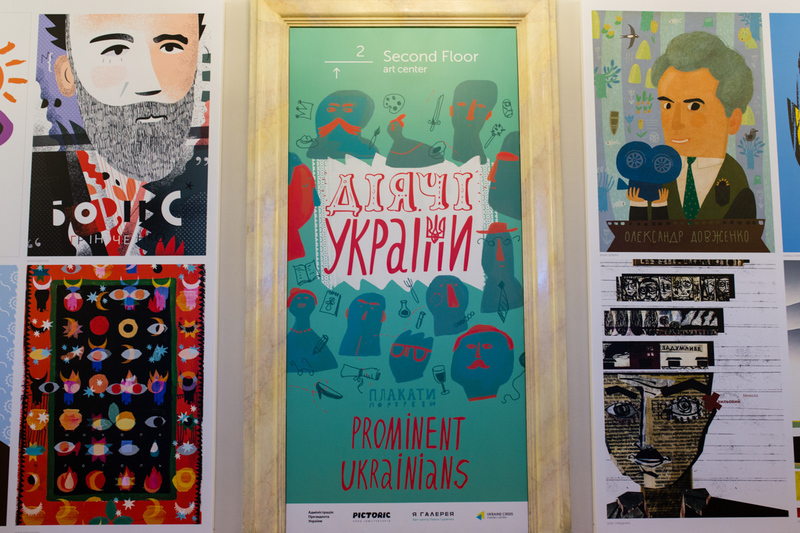 This is a collection of posters created by a team of young Ukrainian designers and illustrators who depicted famous Ukrainians in new and unexpected ways. 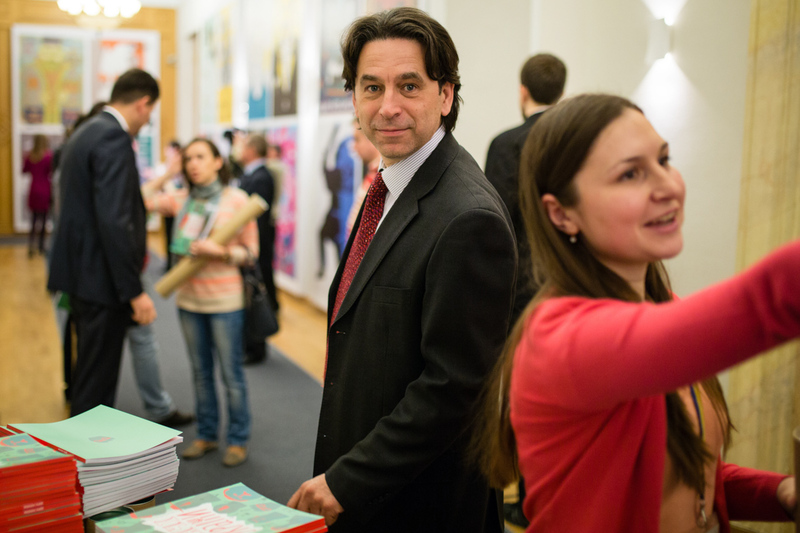 After several weeks at the Presidential Administration, the exhibition will be travelling across the country. “I would like to thank the President for supporting such an unorthodox initiative. It is very important to me that every civil servant here could see changes that started within these walls. 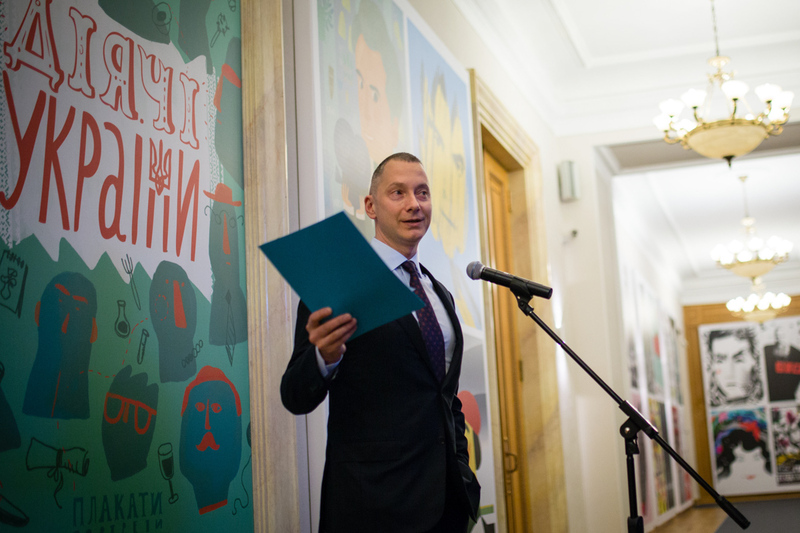 One of the most effective ways to initiate changes is to give a way to contemporary Ukrainian art,” said Borys Lozhkin, Head of the Presidential Administration. “Second Floor Art Center is not just a gallery, but the people who believe in the essence of changes. 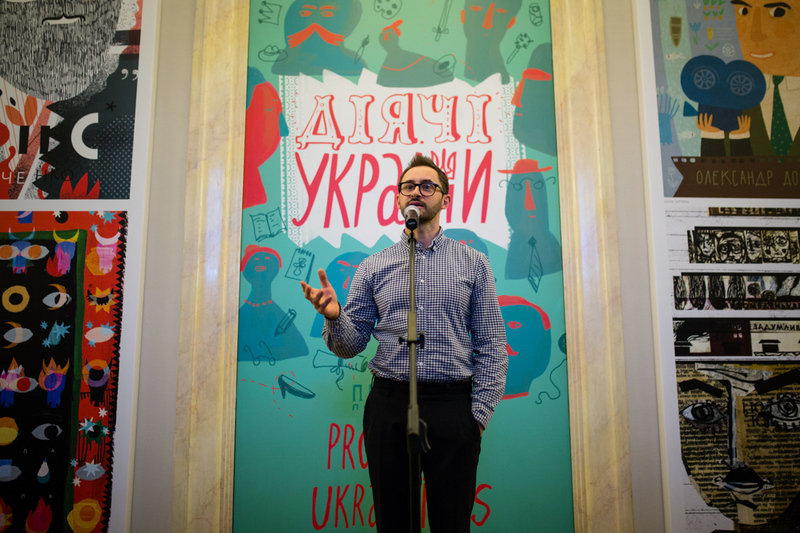 Those people who are not afraid to experiment and change their environment from the ground up,” noted Gennadiy Kurochka, co-founder of Ukraine Crisis Media Center, which promoted the exhibition. 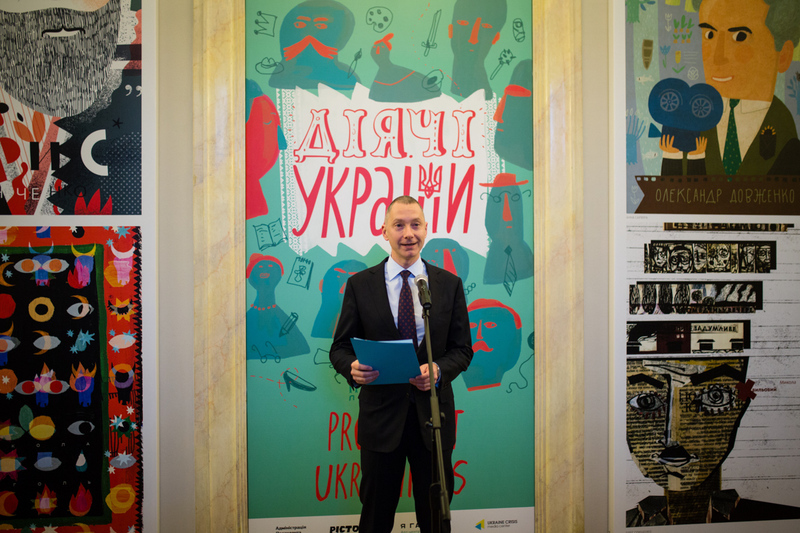 Pavlo Hudimov, art curator of Ya Gallery and co-organizer of the exhibition, told that the first twelve posters were born last summer. Their numbers have been consistently growing, climbing up to 64 posters. 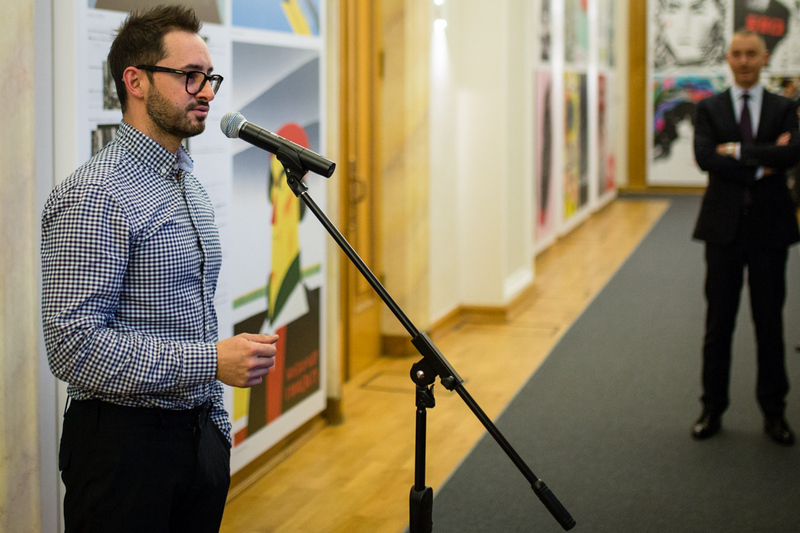 “Creating a new visualization of Ukrainian identity is critically important. The poster is the most democratic form of artistic expression. It can be understood by an elderly or a school student. 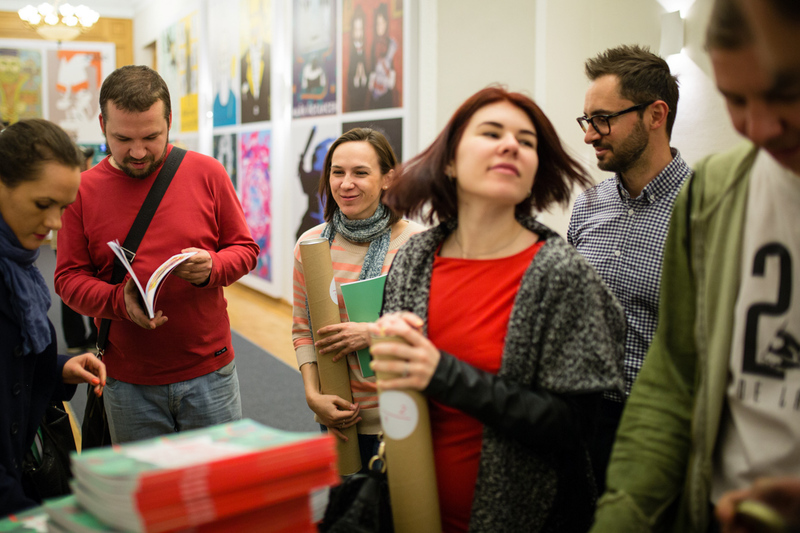 I want to emphasize it was a bottom-up initiative – the artists chose personalities and ways of drawing them independently, eliminating the former Soviet aesthetic. 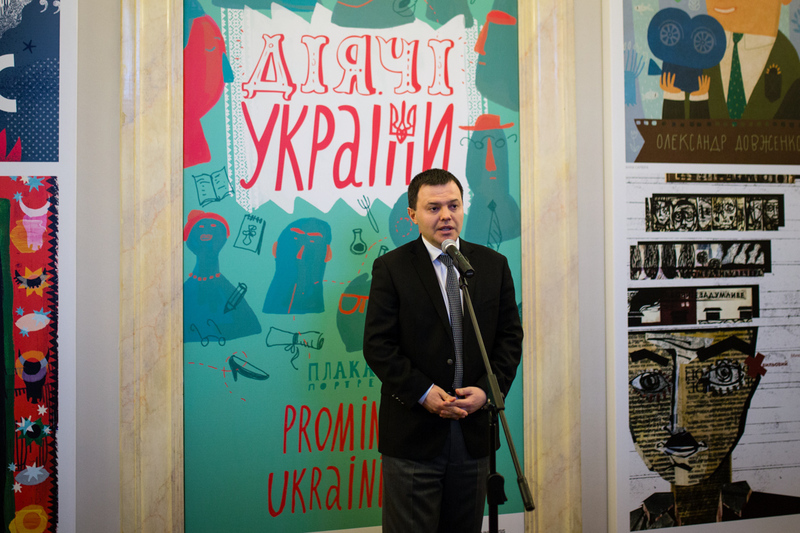 I hope that the public will enjoy the new and kind images of prominent Ukrainians, and that they would be spread further through schools, libraries and cultural centers,” said Hudimov. Twenty three posters were taken to the U.S. Library of Congress. “The launch of the exhibition was an unexpected suprise for us. 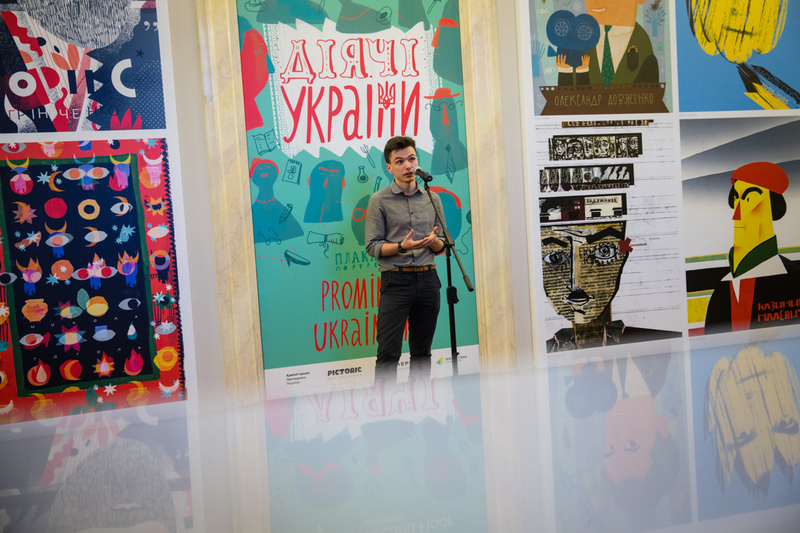 Prominent Ukrainians is not merely an artistic, but educational project as well. It sheds light to the personalities who were previously unknown to the general public. 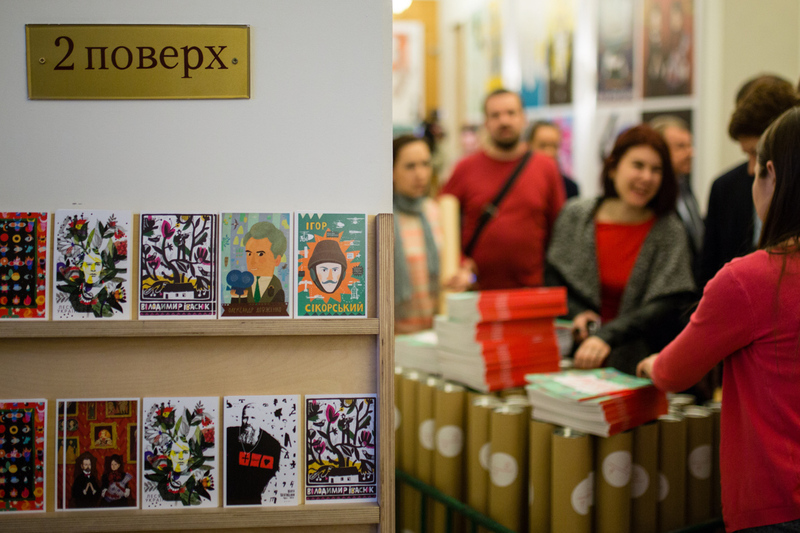 The main criteria to be included in the exhibition is its novelty and visual appearance,” said Oleh Hryshchenko, one of the members of Pictoric design team. The Presidential Administration will open its doors to ordinary citizens for a new tour program next Saturday. Apart from the gallery, the tour includes the House with Chimaeras and the House of the Weeping Widow.